This week’s episode of NPO Showcase features the Early Stages program of the Down Syndrome Association of West Michigan (DSAWM). 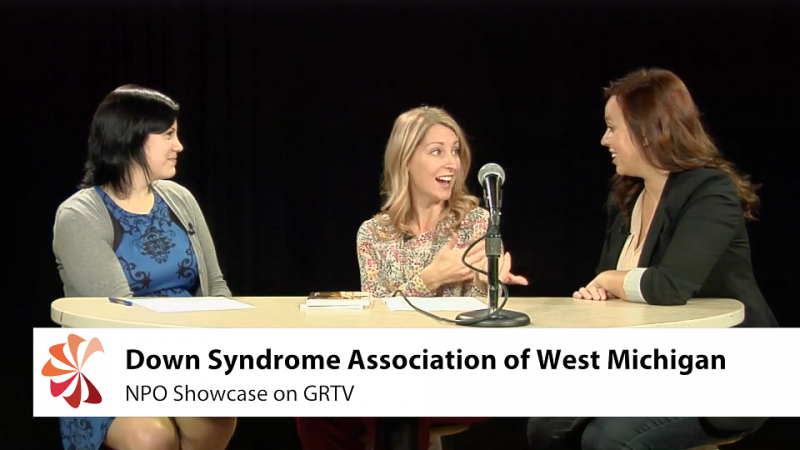 NPO Showcase - Down Syndrome Association of West Michigan from GRTV on Vimeo. In this week’s segment of GRTV’s NPO Showcase, April Sawhill, Executive Director, and Lindsey Kloeckner, Parent Member, discuss the resources available through the Down Syndrome Association of West Michigan (DSAWM), the Early Stages program that supports children with Down syndrome from the time of diagnosis through age five, and how the program has impacted Lindsey’s family. Down syndrome occurs when an individual has three, rather than two, copies of the 21st chromosome, and is the most commonly occurring chromosomal abnormality. This additional genetic material alters the course of development and causes the characteristics associated with Down syndrome. However, these effects are usually mild to moderate, and are not indicative of the many strengths and talents that each individual possesses. DSAWM was formed in 1985 by six families who had children with Down syndrome and wanted to share knowledge and support each other. Today, the organization encompasses advocacy, public awareness, and support of lifelong opportunities for individuals with Down syndrome and their families. Watch the NPO Showcase segment to hear Lindsey’s personal story of how the DSAWM and the early Stages program have supported her family and to learn more about the work of the organization. You can also learn about volunteer opportunities and donate on their website. Check back next Wednesday for a new segment of GRTV’s NPO Showcase, featuring the American Diabetes Association.